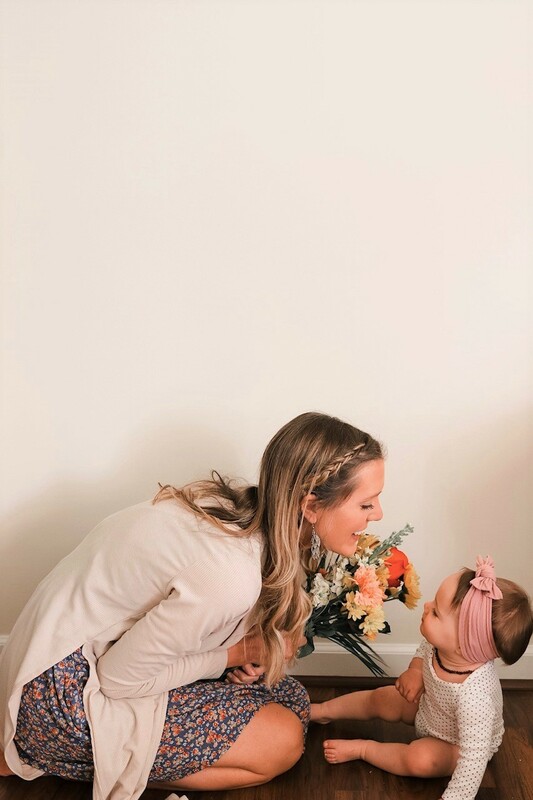 Last year I received the best Mother’s Day gift in the entire world, my daughter. Technically she was born two weeks before the actual holiday, but close enough. I remember holding her in my arms on that day and thinking she was all I would ever need. She was the best Mother’s Day gift and still is. 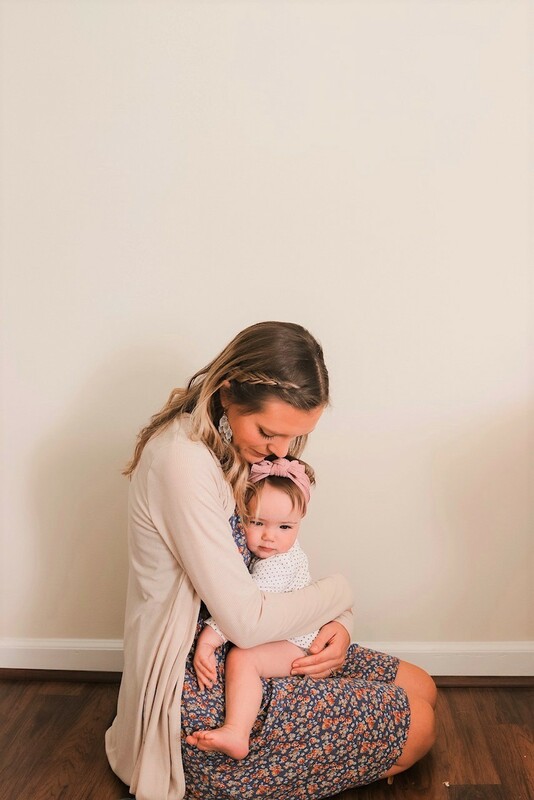 This first year of motherhood has tested me in more ways than one It has tested my patience, ability to function off of 2 hours of sleep, my marriage, my faith and my capability to love more than I could have ever known. Women truly are amazing. Motherhood is no walk in the park, but rather a sporadic jog, sprint and crawl. Our children are the best gifts, but it doesn’t hurt to show your mom some appreciation for the blood, sweat and tears she sheds for you! 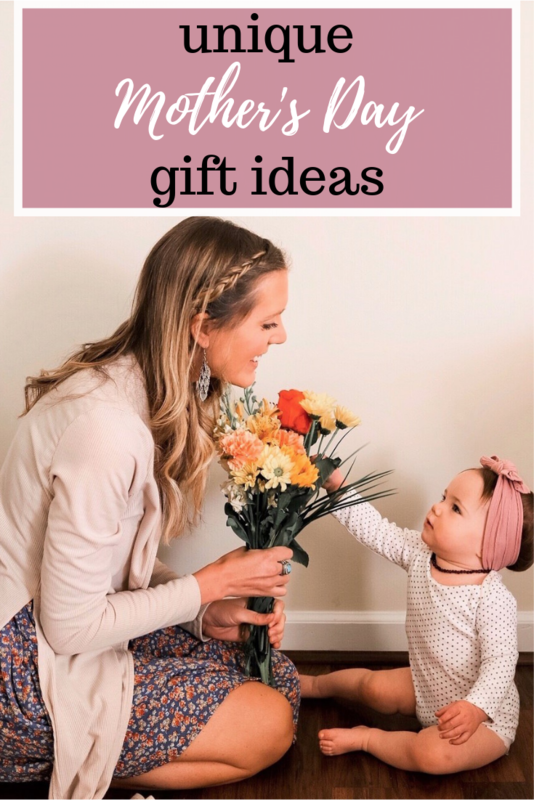 I have created a fun and unique list of mostly my desires, but ideas that will also make great gifts for any mom. 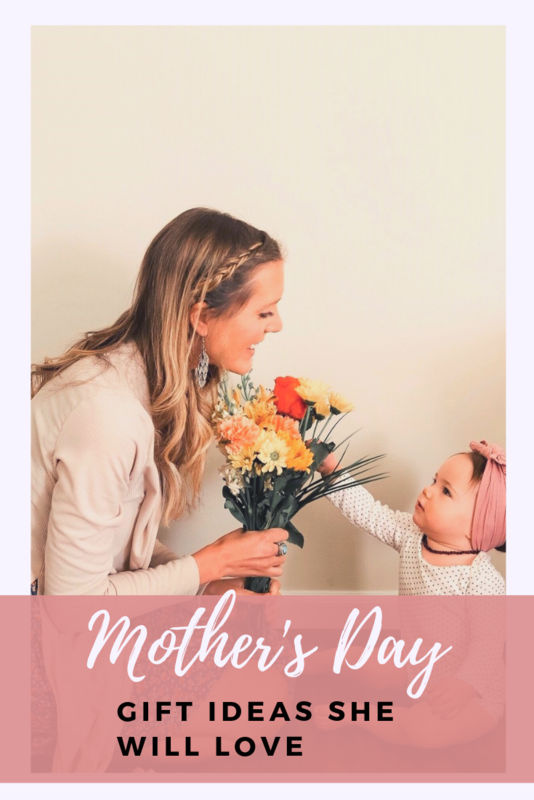 Continue reading for my unique Mother’s Day gift guide ideas! I am all about the gift box idea these days. Etsy has a plethora of amazing gift boxes for new moms, Mother’s Day, birthdays, you name it. I found a gift box made by PeaceOrganics and fell in love. It comes with a large candle (in your choice of scent), cute matchbox, soap, bath bomb, lip balm, body butter and body spray. The best part is it’s all organic and at a fair price of $45. She will be sure to really appreciate this gift! I know I would. My bread and butter is definitely a spa day. If there is anyone in the world who deserves a spa day that would be moms. 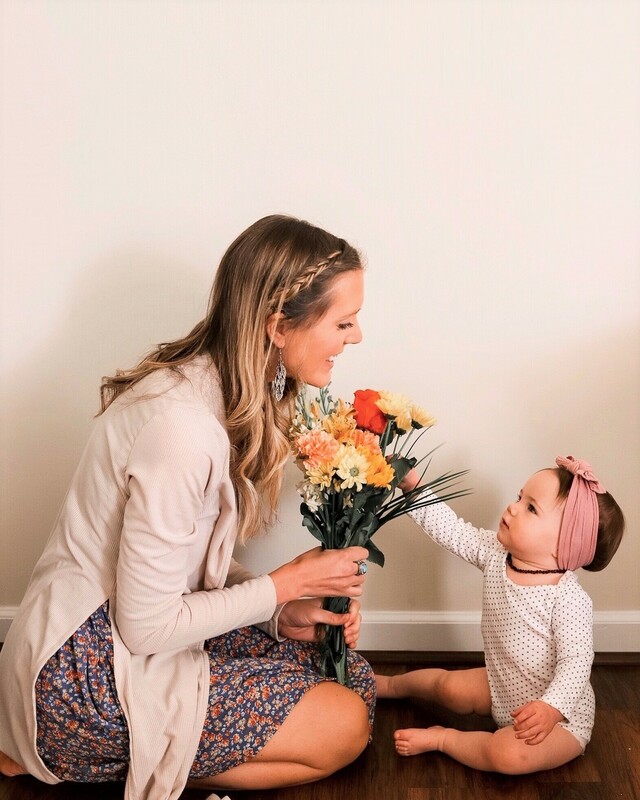 Between getting crawled on, picking up and putting down babies, getting mac and cheese in our hair, etc…moms could use some pampering and a nice massage. If you are in the Triad area need a good place, About Face Day Spa is seriously amazing and they have customizable packages at a reasonable price. I’m not a huge jewelry wearer, but I came across another great Etsy find. These personalized initial necklaces would make great, thoughtful gifts. You can add all the initials of your kids and customize the types and color of the metal. You could also get her a cute mom life mug to go with her new super power coffee. Every mom needs a cute mom uniform that’s both comfy, casual and makes her feel + look good. I recently picked up this cool mom tank from Target that is super comfortable and will be a definite staple this summer. I also picked up my first pair of mom jeans from Target by Wild Fable. All I can say is I am never going back to skinny jeans (at least for a little while). These are definitely a new favorite. She will also need some nice new kicks to go with her cute mom-fit. Another new favorite from Target are these leopard mules. I have had a nice pair of Adidas slides on my radar for quite some time, so your mama might appreciate these for the summer as well. Whether your mom likes flowers, shrubs, succulents or some form of greenery. I think getting plants as gifts is always a safe bet. On my wish list is this artificial pentunia plant. I’ve been on the hunt for a larger fake plant for our living room for awhile, and this palm tree plant would be a great addition to any living space. If you aren’t confident enough to get such a large plant piece, then you could go with these 6 assorted succulents that are very pretty. You could also just go with real plants or flowers, but I like pieces that get more use out of them. My current favorite non-fiction books that I have read recently are Girl, Wash Your Face by Rachel Hollis and Girl, Stop Apologizing also by Rachel Hollis. These books have been a total game changer when it comes to my outlook on life and I wholeheartedly believe every mom should read them. I love to cook, but I also love nights when I don’t have to think about what we are going to have for dinner that night. Meal services like HelloFresh are great because they take the hassle of meal planning away. We are definitely fans of HelloFresh and there is a major discount for first-timers. 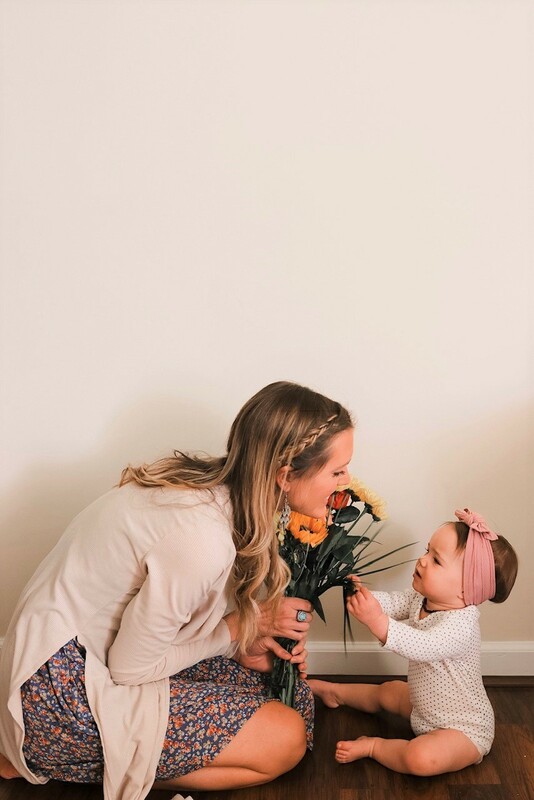 To all you mamas, I hope you have a wonderful Mother’s Day and don’t forget to make time for yourself! thank you! yes can’t go wrong with a spa package!